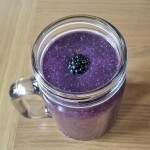 It’s blackberry season and this is the best time to make a blackberry smoothie, just pick some blackberries from your nearest woodland, hedgerows or your local park. Never buy blackberries from the supermarket as those will be sprayed with or soaked in a special solution to keep them fresh for longer (not exactly the most natural method!). 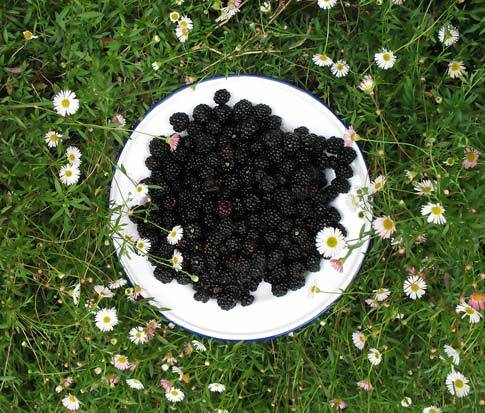 If you decide to go foraging, check some blackberry foraging tips here. 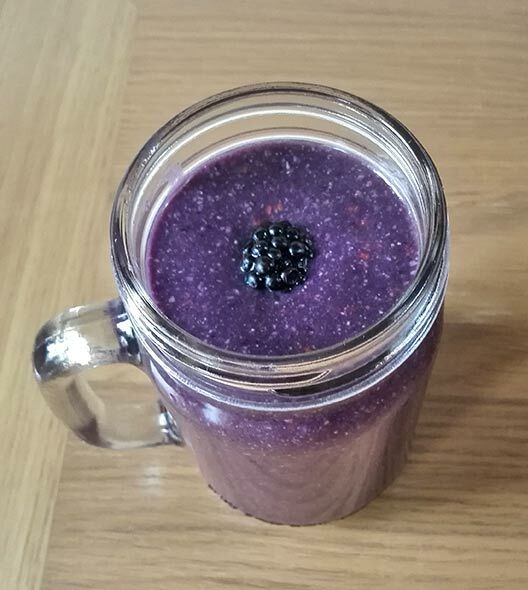 This is my first blackberry smoothie and it turned out delicious, nutritious and looking amazing :-). This is a great post-workout drink actually as it contains lots of natural sugars (this is needed after an intensive workout to replenish glycogen in the body), vitamin C (anti-oxidant, anti-inflammatory), potassium (helps to promote muscle recovery) and omega 3 fats (anti-inflammatory). In the beginning I didn’t know exactly what to put in the smoothie apart from blackberries and banana but then I figured it out. I decided to experiment and make it coconutty so I added coconut oil, dessicated coconut and coconut water. I used Koko Nata King coconut water*, but you can use other liquid if you like, for example coconut milk. 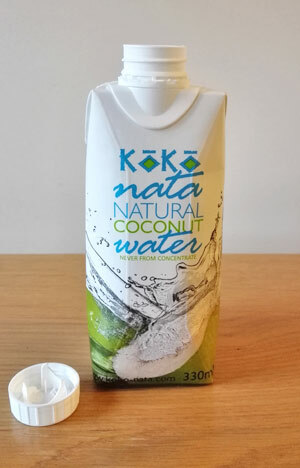 If you haven’t heard of Koko Nata coconut water before, this is actually new coconut water on the market and it is extracted from yellow coconut or ‘king’ of coconuts – this type of coconut contains premium water which contains more electrolytes (such as potassium) than the coconut water which comes from the green coconut; it’s also naturally sweeter. 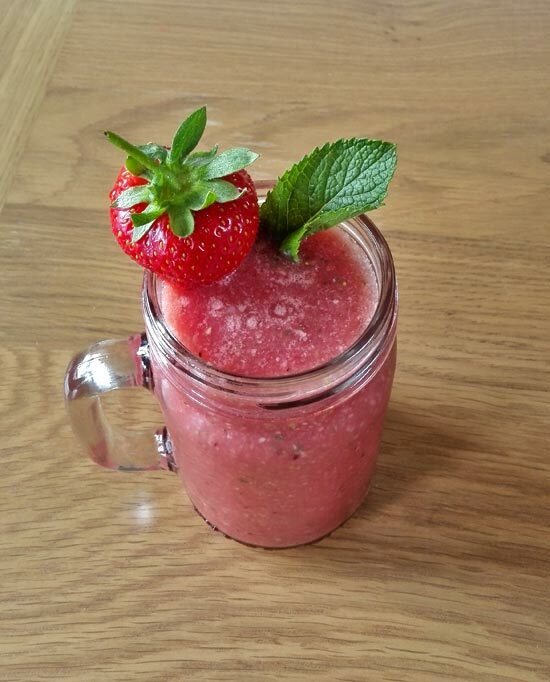 It worked great in a smoothie and it mixed with other flavours really well. 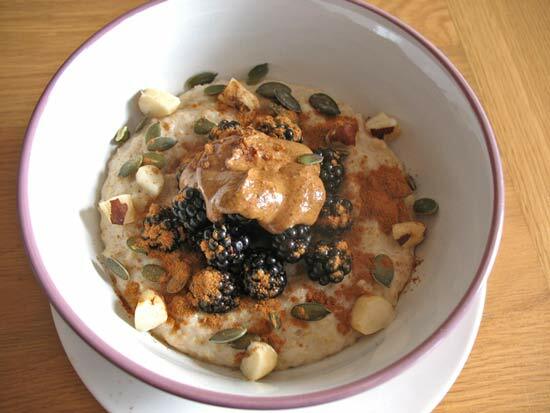 To make the smoothie more nutritious I also decided to add chia seeds and flaxseeds – these are great as a source of protein, fibre and omega 3 fats. Check the full recipe below. (If you don’t have a blender, check out this article which reviews some of the best blenders). Wash and drain wild blackberries, removing any bad ones. Enjoy with ice or chilled. Add more or less liquid, depending on how thick you like it. Have you ever made a blackberry smoothie and how did it turn out? Did you pick any wild blackberries this year yet? Mmmmm. ….how yummy does that look let alone taste! Thanks! It definitely tastes delicious! I’m always looking for a new smoothie options. Thanks you. I am glad you are finding my recipe useful, thanks for stopping by! That’s a great idea about using frozen fruit. 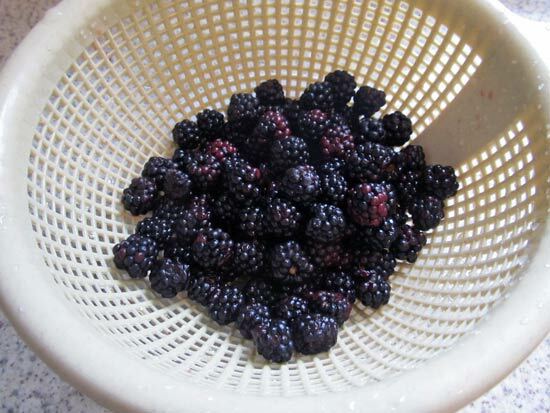 I am planning to go blackberry foraging again, hopefully picking enough for the freezer so I can try using frozen ones next time! It’s a must! Especially the bananas! Makes it so thick, like fray! I love going blackberry picking and this smoothie looks delicious! Thanks Nicola! I went blackberry foraging today again but I didn’t find that many ripe ones so hopefully next weekend is the one. It’s amazing smoothie Sarah, you should definitely make it. Delicious, I made a summer fruits smoothie with coconut milk the other day and was suprised how wonderful it tasted (wasn’t sure about the acidity with the creaminess) but it worked. Thanks for linking up to #tastytuesdays . Please can you add my badge or link back, thanks. Coconut flavour and berries definitely go very well together, I was really pleased how it turned out at the end. Thanks for checking my recipe out Vicki, I actually added your link at the end already, but maybe you just need to refresh the page to see it as the pages get cached?